When a family finds a surprising new home for an old couch, a llama becomes the happiest creature of all. The Lago family really loves their couch. It's perfect for reading, snuggling, playing, and jumping. But all good things must come to an end, and, one day, the family realizes the time has come to replace it. As they drive home with their brand-new bright-red couch, though, it gets knocked off the top of their car into a field . . . where a llama tries to make sense of this new thing. At first confused--It doesn't talk It doesn't taste good It doesn't budge --the llama soon realizes how comfy the couch is and settles right in. Can the family get its furniture back--and keep llama happy, too? 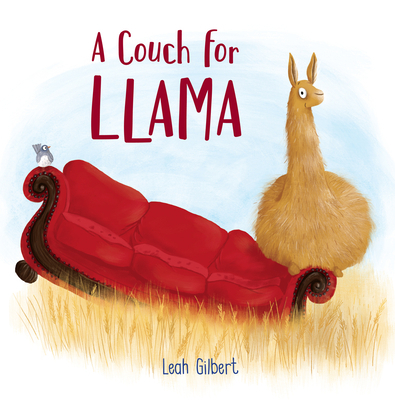 Leah Gilbert has written and illustrated a warm picture book that touches both the heart and the funny bone. Leah Gilbert is a greeting card designer from Denver, CO. This is her debut book. You can see more of Leah's work at leah-gilbert.com.